The Sound Of Silence - 45dB(a) at the condenser discharge. Air Conditioning noise can be a huge technical problem for commercial air conditioning in built up areas. For installations like supermarkets and telephone exchanges where the duty cycle is often close to 24 hours per day, it can be a very expensive problem too. 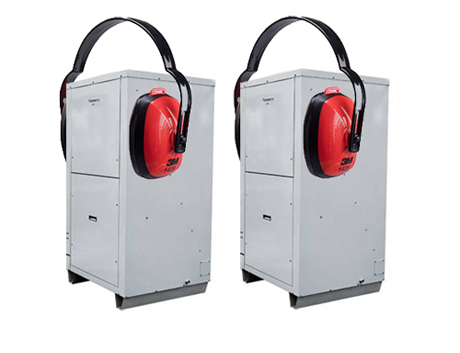 There have been class actions regarding noise pollution in Australia with damages costing the plant owner six figure amounts. Temperzone has been developing noise attenuation solutions for more than 20 years. About 10 years ago we developed a range of split system units specifically for the low noise market. The range called VCR, comes in three sizes 80kW, 92kWand 98kW and was initially built as a custom product for a supermarket chain. It is now available to all our customers. Air Conditioning noise can be a huge technical problem for commercial air conditioning in built up areas. For installations like supermarkets and telephone exchanges where the duty cycle is often close to 24 hours per day, it can be a very expensive problem too. Consultants and Contractors, who are designing or certifying an installation, must calculate the Maximum Fan Power for the entire system. It is a requirement of the BCA. Fortunately, Temperzone has made it fairly easy for you to carry out this calculation. During his 36 odd years with the company, Temperzone’s National Service Manager Mark Howcroft has been asked every question imaginable – relating to Temperzone products that is. In the first of a series of FAQ articles Mark answers common questions about Field Wiring and Controllers. What would make you want to change brands? Moving to a new brand can be a difficult choice whether it’s the beer you drink, the car you drive or the air conditioning equipment you install! You have to feel right about the new brand and that means a lot more than just lowest price …… for the beer, the car or the air conditioner! 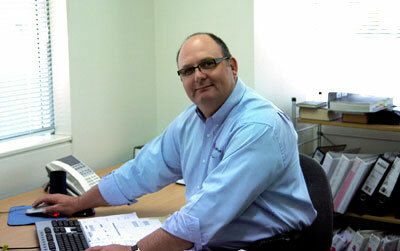 Since the 1970’s, Temperzone has been a market leader in Water Cooled Package units in Australia and New Zealand. The first products to arrive were the HW series or the above ceiling water cooled package units. We are now launching a new (7th) generation of this widely used product. We talk a lot about energy efficiency in the air conditioning industry. While we struggle to meet the next round of MEPS, some companies have embraced sustainability as a core part of their business philosophy. Weleda is such a company.